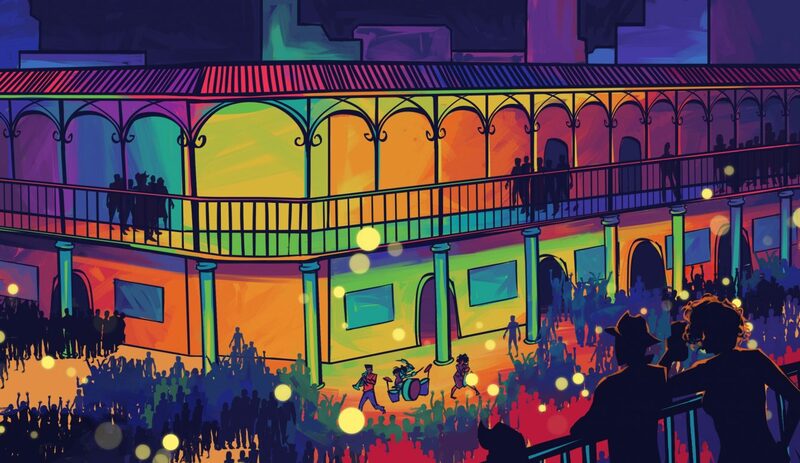 Busking is the art of street performance and in Weird Giraffe Games’s new title, Big Easy Busking, you’ll be putting on your best shows to claim the title of Best Street Musician in New Orleans! Big Easy Busking is an area control game for 1-5 players. In it you’ll choose locations to play your set of songs over 3 days; having to balance your performance with your energy. If your music manages to match the mood of your listeners , you can earn some big tips! The game features bright, beautiful art which has become a signature of Weird Giraffe Games and the deluxe version comes with custom music meeples and card sleeves. 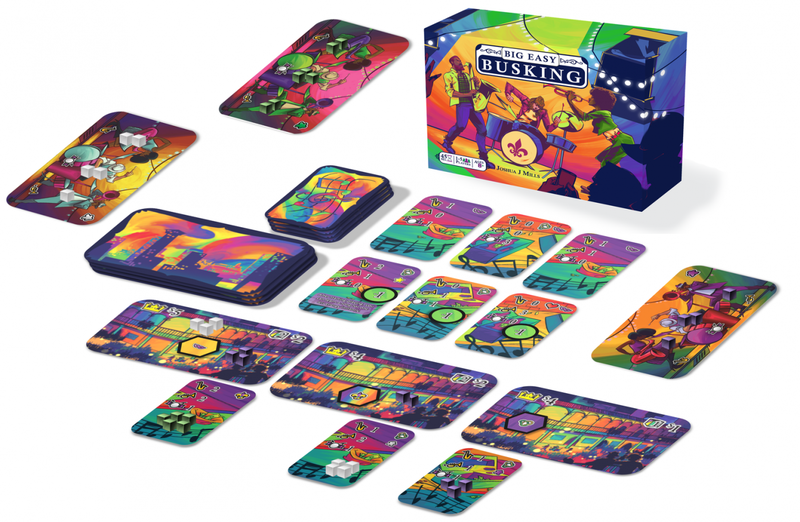 Designed by Carla Kopp and Joshua Mills, Big Easy Busking is on Kickstarter right now so head on over and check out this exciting music-based game. Next Post:Evolution: The Video Game Launches on Darwin’s Birthday & Comes With Presents for You!